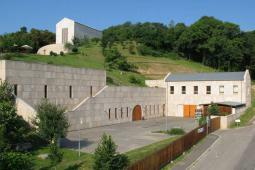 BALATON WINE REGION ♦ Liszkay Vineyard Estate is quietly located in a green area of Monoszló, known for its wine. The hotel gives a pictueresque view to the region where you can supernatural experience the Hungarian Toscana amidst vineyards and sunset. All rooms are highly sophisticated, feature countryside design, oak floors and authentic stone bathroom. Each room is spacious and individually decorated with light colours, featuring free Wi-Fi and parking as well. The hotel offers a wine gallery, restaurant and spa and wellness centre, consists of an outdoor & indoor pool and a sauna for leisure. Massage treatments are also available. The restaurant serves Hungarian and international dishes upon request. 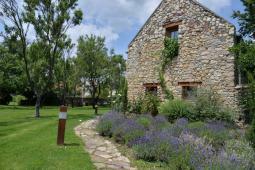 The Estate is a good starting point for experiencing the wine region, swimming in the Lake Balaton. Close to the estate there is horse riding or fishing opportunity as well. We would be happy to book your stay. Please fill in the Inquiry form here »» or contact us »» here!